If you have just had a baby or have lost a lot of weight then you have no doubt seen that you have acquired some stretch marks. Now you are looking for a stretch mark home remedy. Someone should have told you that you could minimize the appearance of stretch marks during the time you were pregnant and maybe they did but I think that stretch marks are pretty much inevitable in any case. So a good stretch mark home remedy starts with you and having the patience to see results before you start running to the plastic surgeon for help. That step may come in time but let's try this first. Cocoa butter is wonderful. It penetrates the skin all the way down to the dermis, moisturizing as it goes to treat even the deepest stretch marks. Apply a good amount of cocoa butter to your stretch marks at least three times a day. Remember that you may not start to see results from this treatment for several weeks to a month, so be patient. Lanolin is another good one to use. It basically works the same way and if you can find a product that contains both cocoa butter and lanolin you will probably see results faster. Do not quote me because everyone is different and you just need to try it to find out for yourself. Mostly, this is how you will get rid of the stretch marks, by rubbing them down with creams and emollients. If you are diligent then you should have some success in at least reducing how bad they look. If you do not see any improvement then you may want to go to see a plastic surgeon and get a consult to see what can be done. But I think with some work on your part you should see some improvement in a few weeks to a month from now. Obviously if you are rubbing yourself down with these creams then you are also giving yourself a good massage, too. Massaging an area will increase blood flow to that area and make it feel better. Deep massage also helps to break up scar tissue and that is what stretch marks are or at least they can cause scar tissue to build up making the stretch mark area look even worse. Ah, yes, one more suggestion, go to the store and buy some vitamin E capsules or see of you can find some vitamin E oil somewhere and rub it into your skin. Vitamin E is important for skin health and will greatly improve your skin's elasticity. If all you can find is capsules you may need to use more than one to cover the area with the stretch marks. Puncture the capsule and squeeze out the oil and rub into your skin. get as good coverage as you can. All this plus eating a well balanced diet with lots of protein and vitamins and minerals to help your skin stay healthy is a very important and will go a long way to being a major factor in your stretch mark home remedy. If you have just had a baby or have lost a lot of weight then you have no doubt seen that you have acquired some stretch marks. Now you are looking for a stretch mark home remedy. Someone should have told you that you could minimize the appearance of stretch marks during the time you were pregnant and maybe they did but I think that stretch marks are pretty much inevitable in any case. So a good stretch mark home remedy starts with you and having the patience to see results before you start running to the plastic surgeon for help. That step may come in time but let’s try this first. Cocoa butter is wonderful. It penetrates the skin all the way down to the dermis, moisturizing as it goes to treat even the deepest stretch marks. Apply a good amount of cocoa butter to your stretch marks at least three times a day. Remember that you may not start to see results from this treatment for several weeks to a month, so be patient. Lanolin is another good one to use. It basically works the same way and if you can find a product that contains both cocoa butter and lanolin you will probably see results faster. Do not quote me because everyone is different and you just need to try it to find out for yourself. Mostly, this is how you will get rid of the stretch marks, by rubbing them down with creams and emollients. If you are diligent then you should have some success in at least reducing how bad they look. If you do not see any improvement then you may want to go to see a plastic surgeon and get a consult to see what can be done. But I think with some work on your part you should see some improvement in a few weeks to a month from now. Obviously if you are rubbing yourself down with these creams then you are also giving yourself a good massage, too. Massaging an area will increase blood flow to that area and make it feel better. Deep massage also helps to break up scar tissue and that is what stretch marks are or at least they can cause scar tissue to build up making the stretch mark area look even worse. Ah, yes, one more suggestion, go to the store and buy some vitamin E capsules or see of you can find some vitamin E oil somewhere and rub it into your skin. Vitamin E is important for skin health and will greatly improve your skin’s elasticity. If all you can find is capsules you may need to use more than one to cover the area with the stretch marks. Puncture the capsule and squeeze out the oil and rub into your skin. get as good coverage as you can. 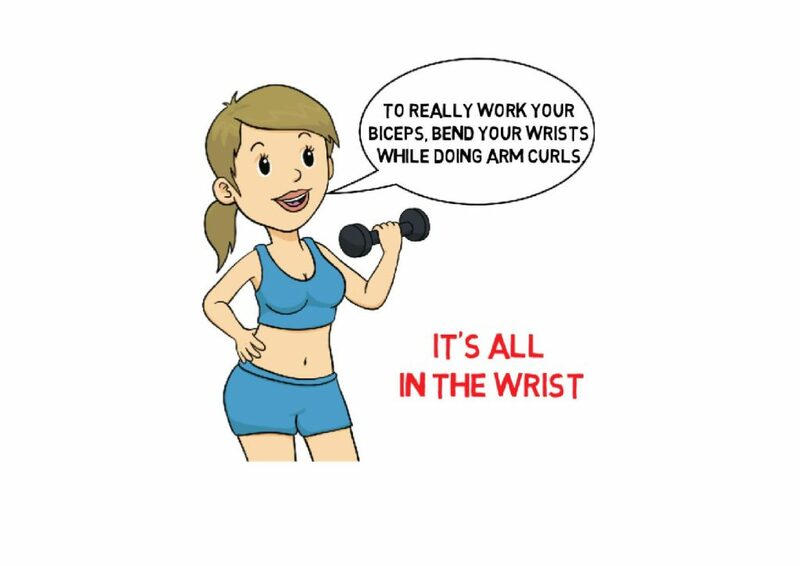 Tip for today: It’s all in the wrist.